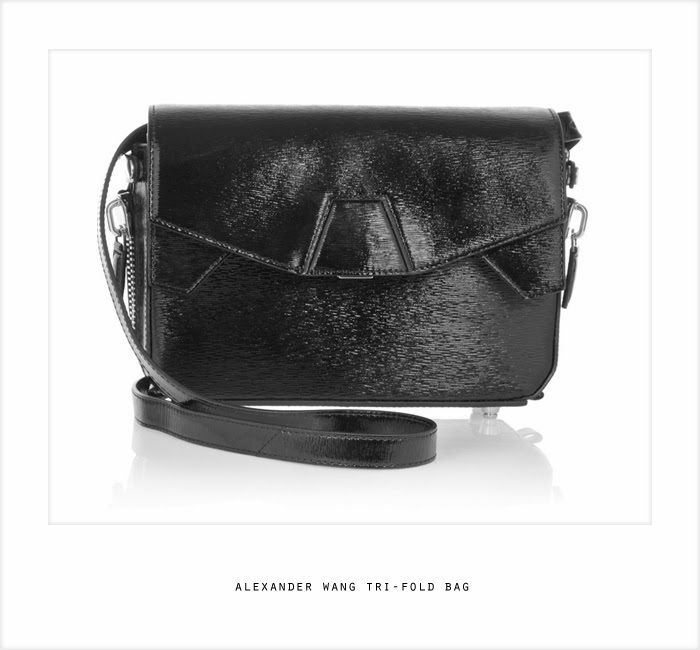 My current baby right here is this patent perfect Alexander Wang crossbody, that I swiped for 53% off via my favorite addiction, The Outnet. I've become a total bag lady this year because it was the next element of my sartorial world that needed refining. In my world, there's an essential bag for every need; anyone who can live with just one, I don't know how they deal. There are at least four bags that are investment-worthy staples and my list includes the everyday leather tote, the glam evening clutch, the chic satchel, and the cute crossbody. Now, I can finally check off the last of the list with this beautiful, textured A. Wang. The sleek, grained leather caught my attention because it reminds me so much of Louis Vuitton's luxurious Epi leather that I obsess over. I'm so glad The Outnet has come through for me once again in providing the designer pieces I've actually been dying and waiting for, and at 50% off or more at that - all you need is a little patience! man, I've had my eye on this bag for some time! It's perfection!